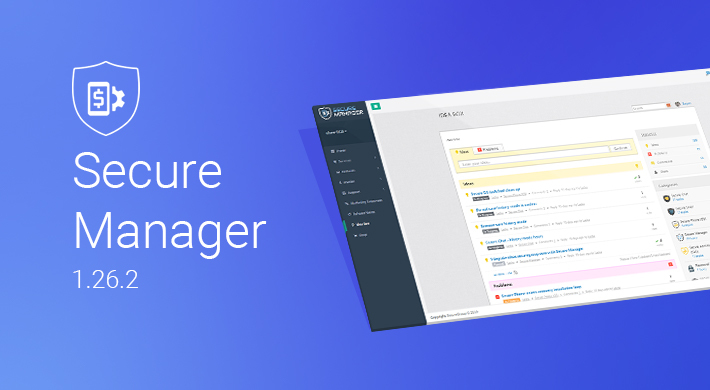 Today, we are happy to announce the release of Secure Manager v 1.26.2. The new release features interface improvements to the Idea Box, as well as enhanced stability on mobile devices. The latest iteration of Idea Box brings simplified navigation, featuring only the essential functionalities, allowing the users to be taken directly to their topics when clicking on their profile. Furthermore, when viewing the user's profile and the list of their topics, the option, settings and password management menus are no longer present, providing a clean user experience for ideation. Significant efforts were put to enhance the stability of Secure Manager on mobile devices. Our users were previously being logged out from the client area when using the platform on their handheld devices - a preferred method of accessing Secure Manager by our partners as shown by the statistics. With stability and performance improvements across the system, efficient code and optimized database queries, our users should no longer experience this behavior, and instead, enjoy a fast and seamless platform experience. Since we are continually striving to improve and innovate, we depend on your feedback to help shape how our products and services evolve. Please follow the link below to share your thoughts and ask any questions you might have.